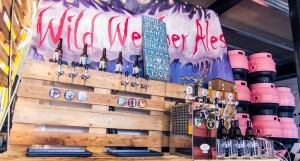 The Harper Arms are proud to award the coveted The Harper Arms Brewery of the Year Award to, Wild Weather Ales. The Regulars have enjoyed some outstanding beers from this up and coming local brewery. 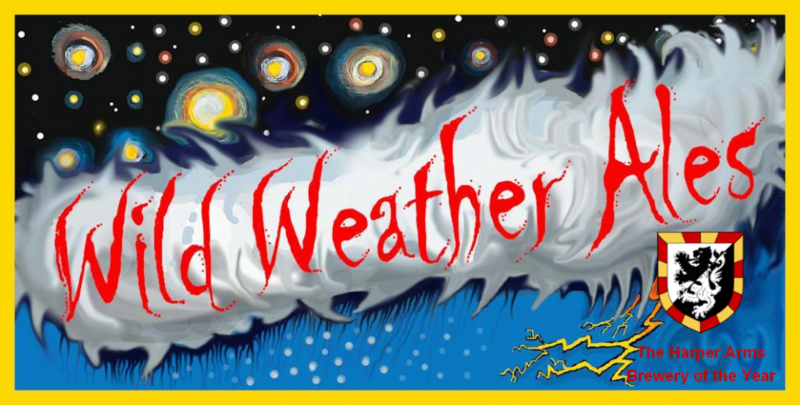 See Wild Weather Ales Reviews for a selection of our tasting notes. Dave had the opportunity to taste Guinness at its best at the world famous St James’s Gate Brewery. My Guinness was brewed from the finest Irish barley, water from the Wiklow mountains, hops from around the world and used a strain of yeast dating back over 200 years. It was then pumped full of nitrogen, served in a 20oz tulip glass and of course let to settle for the obligatory 119.5s before being topped off and finally handed over to me for tasting. 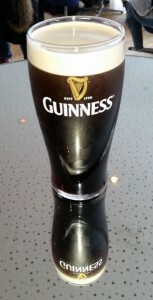 Guinness doesn’t get any better than this… but it’s still only Guinness! For all you budding brewers out there.. The brilliance that is BrewDog have released their back catalogue, complete with ingredients, ‘how to’ and brewers tips for each and every beer they brew(ed) to date. The link will automatically download it in PDF format. Happy brewing.. The Regulars have been invited to a special tasting at Wild Weather Ales. Based in an industrial unit just outside of Tadley historic Roman Silchester, Wild Weather Ales has been producing some great beers since 2012 AD 43. The Regulars hope to be sampling some of their favourites like Sunset Black IPA and Shepherds Warning Pale Ale as well as the latest addition Sunday League Relegation Playoff – a red IPA. Note from LandL0rd. No beers will be rated on this visit. The Harper Arms by-laws state that a full evenings drinking is required in order to determine the Harper Arms Rating.